A wide variety of quality cooking tools & accessories, Made in Maine USA, using the finest hardwoods. 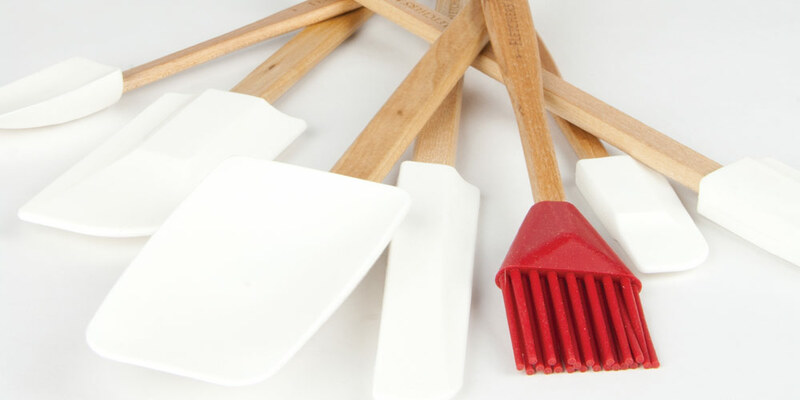 Shop for bowls, scrapers, silicone tools and more. Those that love to cook know that having the best ingredients is key to getting great results. Chefs also know that quality cooking tools and accessories are just as important for great results. Fletchers’ Mill offers a wide variety of wooden kitchen tools and accessories, each made in Maine, USA. Our customers can choose from a selection of bowls, cups, silicone scrapers, muddlers, and more. Each item is designed to make your work in the kitchen a little easier and a little more enjoyable. Therefore, as a result, you’ll feel a lot more satisfied when the meal is done. Throughout our recipe section of FletchersMill.com, you’ll find our tools featured in use – a small bowl to hold freshly ground pepper or salt, a silicone spoon to help mix ingredients, a muddler to help prepare the most refreshing cocktail you’ll enjoy this summer. Each item is crafted from the same solid, American hardwoods as found in our peppermills, and made in our factory in New Vineyard, Maine.